There is nothing I love more than capturing memories in the form of pictures, and displaying them around my home. I would happily clutter the house with pictures, but my husband tends to rein me in, as he prefers the ‘less is more’ look. I do too, but not when it comes to pictures of my children. When we were given the opportunity to review a beautiful 3D canvas print from CEWE we were thrilled. Especially because we had just been camping with Camping in the Forest, at the Homely Campsite. I documented it here. One of my best moments was watching my children run around free in the wilderness. Something you only get to fully appreciate when camping. 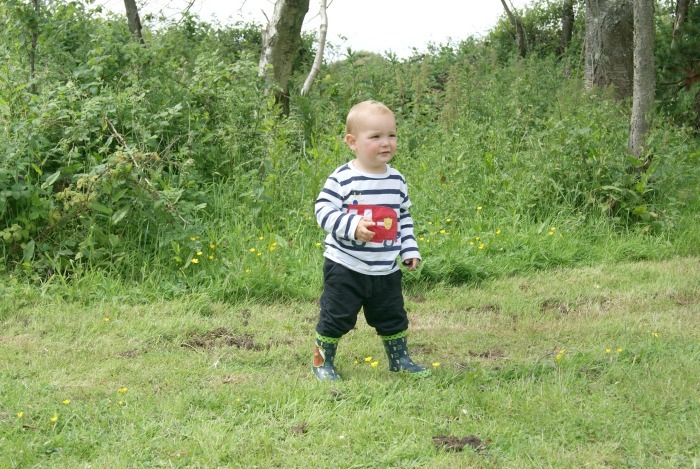 In this picture you can see Archie looking on, wearing his Gruffalo wellies, surrounded by the greenery and beauty that the New Forest oozes. One of the great things about this canvas is that it is 3D, it is made by CEWE and is available from Jessops. It transforms your photo into a 3-dimensional picture, without the need for 3D glasses. 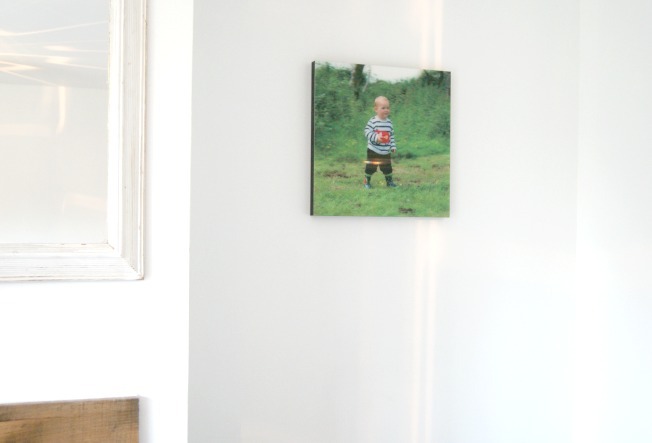 What is particularly special about this type of canvas is that it brings your photo to life. It captures the real memory and optimises it, which makes for a truly unique piece of art to place in your home. Jessops state on the website: ‘CEWE 3D comes from CEWE European leaders in photo processing’ This not only gives piece of mind that you are receiving a quality product but it is reassuring to know that your photos are made by experts in the industry. CEWE 3D canvas’s can be processed in a range of 5 different formats with a sturdy 25mm backing panel with a black or white veneer surround. I chose black. I was surprised at how light weight the product was. When my husband hung it, he mentioned that the fixing points are in all the right places; the canvas can be hung quickly and easily without any extra hassle. Prices start from £59.99 and range to £139.99. This is all dependant on the size you choose. My image is 40cm by 40cm and is priced at £59.99, which I think is reasonable for the quality and size of the image especially as it is 3D. There are clear instructions for the type of photo you can submit in order to produce the highest quality 3D image on your canvas. There is also a 24hr service which is there to check your chosen photo for suitability. This is helpful as you find out within the hour if the photo is suitable for processing. You are first asked to upload a suitable image once you have read through the instructions, you then select the size of wall panel, the team of experts will then make sure you image works perfectly. The exclusive technology will then convert your photo from 2D to 3D. You then have to wait for delivery of your 3D image, which takes up to 5 working days. Mine was delivered within 3 working days. I ordered it on the Wednesday late evening, and received it on the Monday morning. Not including the weekend. I was completely satisfied with the delivery time and it arrived sooner than expected. The lovely image is now on show in my living room next to my fireplace, it is bright and you are drawn to it as soon as you enter the room. It is lovely to have a different style of picture on our walls. And it really gives our living room a lovely feel, we just need to purchase one of Sophia now! I was really pleased with the service provided by CEWE, and the quality of the image. The picture of my son really comes to life in this photo. This is my first experience with a 3D image and I am really pleasantly surprised as it is such good quality. I am able to see my son and the background clearly even though it has been converted to 3D. I think it is amazing what technology can do these days, and I am so glad I get to keep a memory of our trip, which was so wonderful and so very fun for the whole family. You can read what we got up to here and here. Thank you so much CEWE for sending us this innovative 3-dimensional canvas to review, we are very pleased with it and will definitely recommend it to friends and family.